“Kotoba wa Kokoro (the word represents its heart) “; a work by the bride’s grandfather. 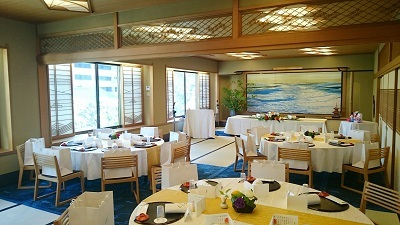 We arranged a wedding ceremony held on April 17th. 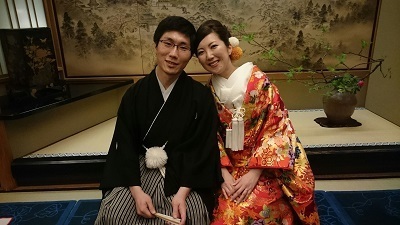 The bride and groom were both from Kansai region, but they are currently living and working in Tokyo. So all the arrangement was made in LST Tokyo salon. 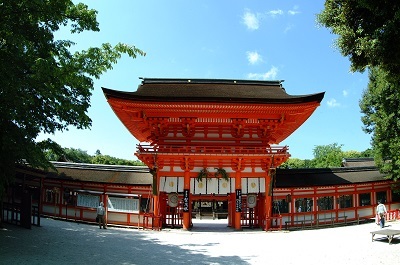 The wedding ceremony was taken place at Shimogamo Shrine and the wedding reception was held at Kyo-ryori Kinobu (ryoutei restaurant). The reception was held in a friendly atmosphere with both family members and friends. It was a birthday of the bride, so a surprise birthday cake and a birthday song were presented to her. The bride was really moved by the flowers from her niece and a song by all the guests. 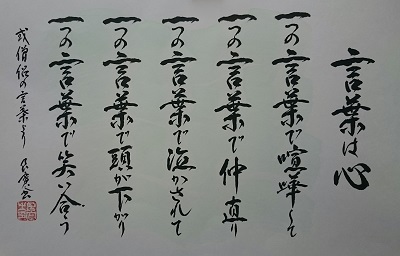 The bride’s grandfather presented a heart-filled “Sho (a piece of calligraphy)” to all the guests even to LST staff. It was so kind of him. We were so grateful for the opportunity that we could help to arrange the wedding for such a wonderful couple.